Our experienced tour guides will tell the story of the Van Wickle/McKee family, the original owners of this beautiful seaside garden estate. Visitors experience breathtaking views of Narragansett Bay and see the Mansion decorated with original furnishings just as it was when the family lived here. The guided tour continues through the grounds where magnificent trees and a variety of colorful gardens demonstrate Blithewold’s prominence in horticulture. This tour concludes with a Q & A—complete with iced tea—served on Blithewold’s North West Porch. $6 per person in addition to regular admission. Admission is included in the price when you register. 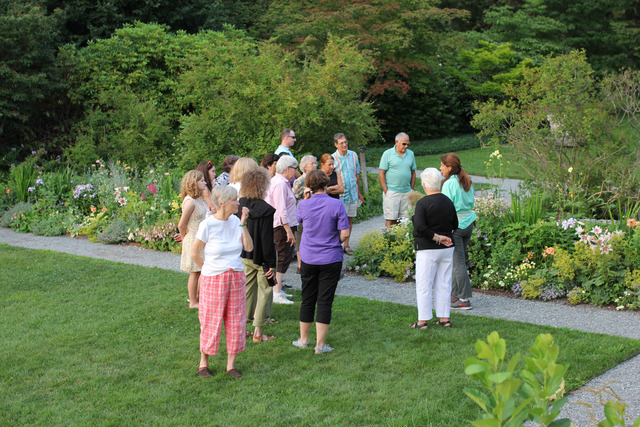 Guests are welcome to explore the Mansion and grounds after the tour. Tours are a maximum of 15 people.